Discussion in 'Reddaway' started by LTL Trkr, Apr 10, 2018. Brothers and Sisters, this where wages have progressed to in the rest of the industry while we were taking pay cuts. I hope we can all stand in solidarity and return to an equal footing with the rest of the LTL industry. 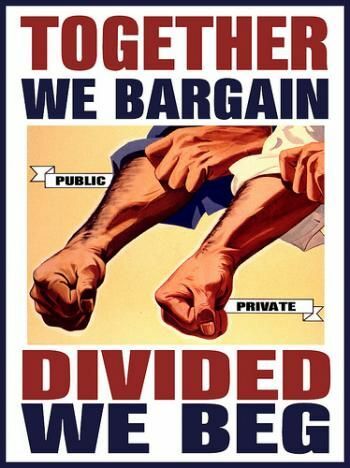 It's up to us to demand A FAIR CONTRACT NOW! Good luck on your fight, it appears that YRC is still leaving you all in the dark. I remember back when they were too big to fail, and they, along with Hoffa, decided we needed a pay cut along with benefit reduction, shortly after buying us out. By the way are they paying into your retirement plan yet. Been awhile, just curious. Our pension contributions into the western conference were frozen, instead they contribute into a teamsters 401k at 75% reduced rate, which I believe is about $1.12 per hour for the first 2080 hours of the year. Updated Line-haul Rates, based on driver submissions and data pulled from variouscontracts. These rates may vary based on region. These rates are deemed reliable butnot guaranteed to be 100% accurate, so please submit a correction if you have one. 2019 time to "Pay the Rate or Lock the Gate " , we have to stop bleeding MONEY to support the old greedy yellow dog !! I work for YRC freight, top pay is $22.34. 2019 just say NO !! The Management is blowing smoke up their stockholder's asses. Like every other Trucking Company, they talk a great line, but know that Employees will take whatever they are given. since it's the COMPANIES that set the industry wages. 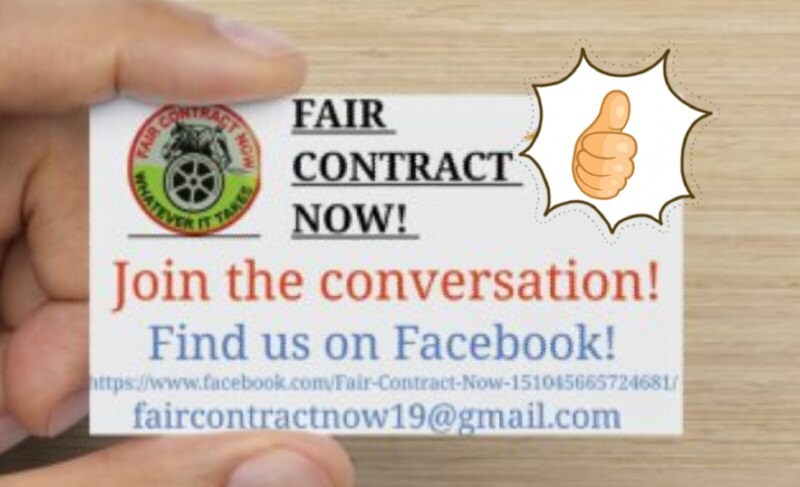 Think about it- they say they want to pay you more, and proclaim the company couldn't survive without talented employees, but when it comes to nut cutting time in Negotiations, they cry Poverty, and competition pressures prevent them from paying you what you are worth. "Just stick around for next year-Things will turn around". Well they turn around alright, but who gets the credit?? Not you. The turn around is shared only between management, and the Shareholders. 2018 and we are at 2007 pay scale ! 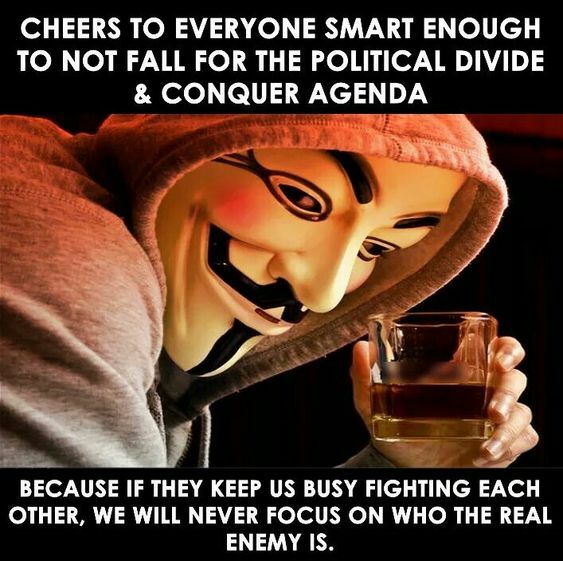 2019 time to stand together ! All of this rhetoric is great, but we need to define what a good contract looks like. To some, it’s purely about the hourly rate and the per mile rate. To others it’s a more complete benefits plan. I think a good contract addresses all of this and a few working conditions items as well. Let me tip my bucket list over with some ideas and we’ll see how it looks. 1. Hourly Rate Range: $26-$28 an hour with $.50 to $.60 cents a year raise over 5 years. 2. Mileage Rate: $.64-$.66 cents a mile with $.02 cents a mile for triples and $.01 cent raise per year over 5 years. 3. Fully paid company health, dental, vision, prescription, short term/long term disability. At current our health, dental, prescription and vision is paid. We keep that plus we need to get a sufficient short/long term disability insurance package. This and our life insurance is lacking severely. Other benefits we may want to look at is counseling and legal assistance. 4. 401k contributions: the company also needs to step up here. The 2080 hour limit is garbage. They need to step up to a 6% match dollar for dollar, $6 bucks an hour for the entire year or put the equivalent of 10% of our pay over the course of the year. As we can see with the pension funds and social security, the government and our companies aren’t great at controlling our money. Our 401k is our money and we can control it. But we need a bigger company contribution. 5. Air conditioning mandatory, no cameras or driverless trucks. These are just some of the ideas I’ve been thinking about. I know the wages aren’t “top scale” compared to other companies. But, I also know what the other benefits cost as well. These numbers would be in the range of a reasonable contract in my opinion. If they come back with something less, we vote a resounding no. Then they have to negotiate up. If they threaten to close the doors, then we need to be ready. But, I want everyone to think about this. Is it going to be harder for a bunch of skilled drivers to find new jobs? Or is it going to be tougher for the CEO, COO, CFO and the other upper management to find jobs (especially after running this company under). So ask yourself this, are you willing to sacrifice your personal comfort level so that we can all achieve a better contract? I agree with most of what you say. I retired three years ago from the Portland Terminal, so I'm not totally familiar with whats going on there now, but when I was an active employee and Union member, I was a Shop Steward for 27 years, a Negotiation Team Member for 5 Labor Agreements (about 20 years worth since YRC suspended negotiations after 2008), and a minor Union Officer. I'm not too sure if I understand #4. Not knowing which Agreement you are under (Western States, or Northwest) I'm not familiar with any 401k offered to Reddaway employees other than the Teamsters 401k that we received after YRC suspended contributions into the Western States Teamster Pension. Since the 401k is a National offering, negotiating the terms of contributions and the like will be out of the control of the company, and the affected Union Locals. What you might try is to increase the amount of hourly contribution the company kicks in up to the maximum hours allowed under that plan. Be aware that keeping full employer paid Health (#3) is a very doable thing in Negotiations, but be prepared for the Company to make a counter offer that includes some sharing of the monthly Premiums. Full MOB(Maintenance Of Benefits)where the employer assumes all the monthly Premium costs is very expensive to them, and those costs come out of the total compensation package they will pay. That means if you want full MOB, most likely it will come out of your hourly wage, or working conditions like cutting wait time, breakdown time, etc. Your hourly wage rate (#1) is good, but it doesn't differentiate between Dock worker, Straight Truck (Hoopie), or City Driver (Heavy Duty/ Hostler). The one that concerns me most is Straight Truck because of the company's going to straight trucks that don't require a class B license to operate. Those remaining drivers may be paid a different classification like a combination Dock /Driver classification, which is not the same as a class B Driver. I drove Class B for over 10 years, and Not only did I have to carry a class B CDL, I had to have airbrake, and Haz Mat endorsements as part of my job requirement. Current Dock/Drivers do not have to have either- just a drivers license. They also are not able to deliver or handle Hazardous shipments, and are limited to GVW's under 9,600 Lbs, greatly limiting their usefulness. The other option is forcing these class B drivers to upgrade to class A (Heavy Duty) classification, which means those drivers might be sent out in the morning in a straight truck, then brought back late morning, or early afternoon to grab a Tractor, hook a set and go out again for more deliveries, and drop and hooks back to the terminal. This is bad and is a safety concern because a Driver who doesn't handle the freight at every stop, doesn't have to get out and use a liftgate at stops all day, and deal with residential deliveries or pickups , doesn't get fatigued the same as a driver who does all those things on a daily basis. There is a value to the company to have the Straight Truck classification remain. Keep me notified of updates, and I'll try to offer any assistance if I can. We are under the Western Conference Teamsters. The 401k says National on it. I would assume it’s the same one you are referring to. My contention with the 401k is that the average for other LTL companies out there is between $6 and $8 bucks an hour into retirement benefits. Where we get a whopping $1.40 and it’s limited to the 2080 hours. To me this is not a great deal. As I mentioned before, I think it’s disingenuous to demand higher than average wages, contributions, etc. But we should be competitive. I understand that it’s a National deal, but it needs to be addressed. Having a full benefits plan 100% paid seems to be a union company standard. In my experience it is very rare to see zero cost sharing in the benefits plan. Ever since Walmart introduced the cost sharing model to save money it’s become pretty standard, but we have the 100% and so does the other union carriers (not many left obviously) so I would say it’s a non-negotiable. I do think they need to add the ST/LT disability and the other small fringe benefits I was referencing earlier. The reasoning for the wage range was not to get us to the top of the heap, but to get us competitive in order to recruit, retain and train quality drivers. It also allows for the other above benefits to be penciled in. The company was shutting down 10 years ago the sacrifices were necessary. Today it’s still open. It’s time for an update. As far as changes to the wait time/hook time stuff. I 100% believe that the company wastes a lot of money and is mismanaged tremendously. However, it is not in my job description to tighten the belt and analyze these things. If the company wants to save money, all they’d have to do is streamline some processes. You can’t run a company the same way you did 30 years ago and expect it to keep up. That’s ridiculous. And like the memo that was posted on the Facebook page that did a rough guesstimate of the money the company has saved. And the debt they could have been paid off if the sacrifice of the labor been utilized correctly. If they want to save money and change the way they do things that’s one thing. If they think by taking money from folks is going to help, it only breeds chaos as seen with the last 5 years. It’s similar to throwing parts at an engine without diagnosing and treating the problem. The rates I mentioned would be top end line haul/p&d rates. As it is now dock/hostler would follow up underneath those rates, yet still see a significant raise. As far as the combo driver/straight truck. If the operator is only doing straight truck and has no CDL maybe we can offer them a premium, kind of like hauling triples. Possibly a dollar or two more an hour than the dock/hostler rate. It’s an easy solution to create a code in the time clock that can track those hours. 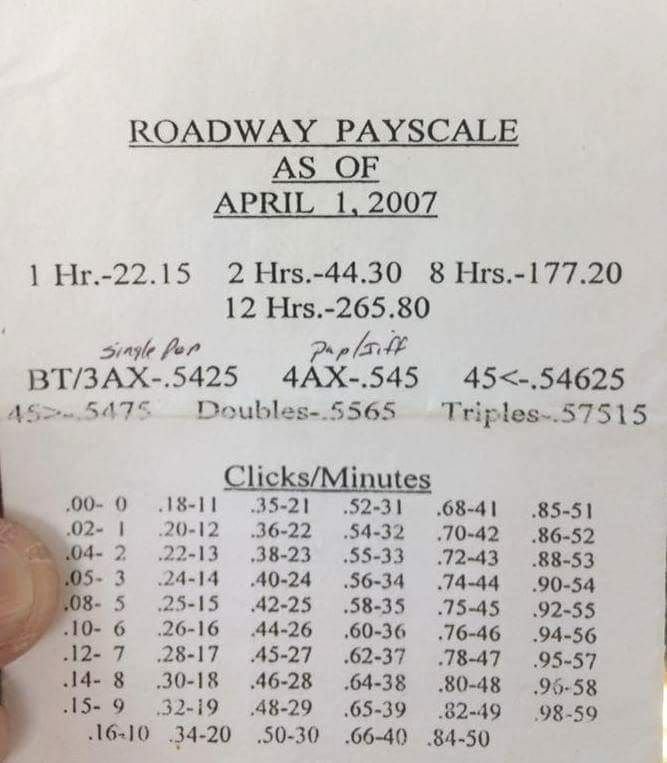 If you have a CDL and you operate straight truck and combination vehicles, then it’s top rate. I would hope that the local management understands that it’s a lot more productive to come to work and run the same route and have the same routine. We do have to account for some variability, but the straight truck guys should do straight truck and the CDL guys should do combination stuff. If they want a CDL guy to do straight truck then they’ll have to pay up. I appreciate your dialogue. I just hope to shed some light on the nitty gritty so that when it comes down to it, the guys don’t cave like they did 5 years ago. If folks want to complain about this place, but voted back in or didn’t vote at all on a deal they need to keep it to themselves. I don’t deny the necessity of 10 years ago. I do believe they could have done a way better job 5 years ago. And now in the next few months we have the chance to start to fix the errors of the past. We need to realize that it’s only going to get better if we make it better. And if they choose to close it down, that there is a huge demand for drivers and it won’t be hard to get another job. So let’s remember the mistakes and do better this time.